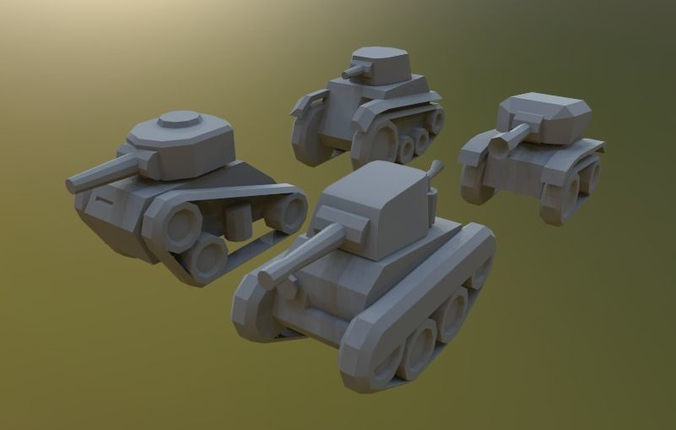 Four lowres tanks available for your arcade battle tank game. Textures are not included, but all models are unwrapped ready for your artist to texturing. Resize the models like you want for projects. Files including : 3ds Max 2015 and 2018 and .obj each tank separately.